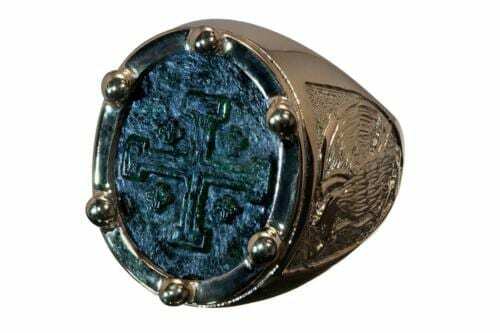 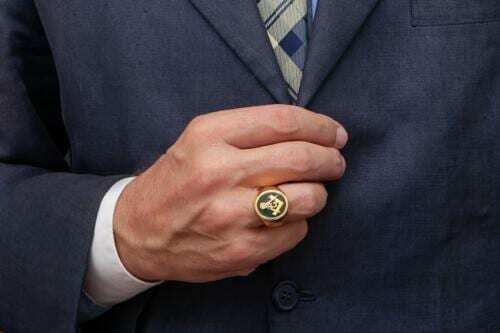 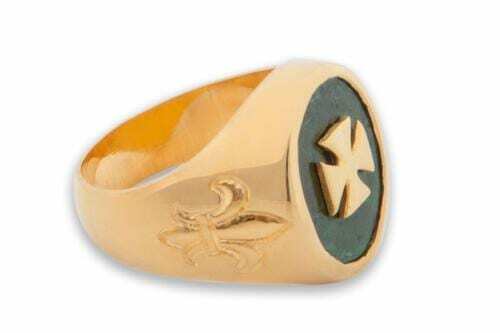 Lion Ring famous family crest signet with Templar cross shoulders in gold plated (5 microns 18 k gold) sterling silver. 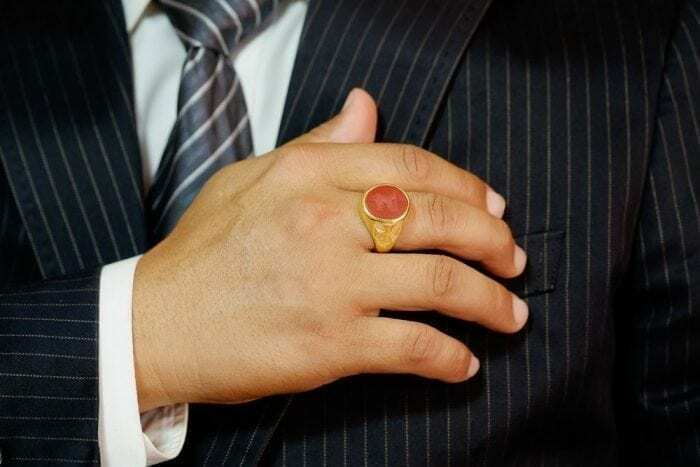 A very smart and manly ring. 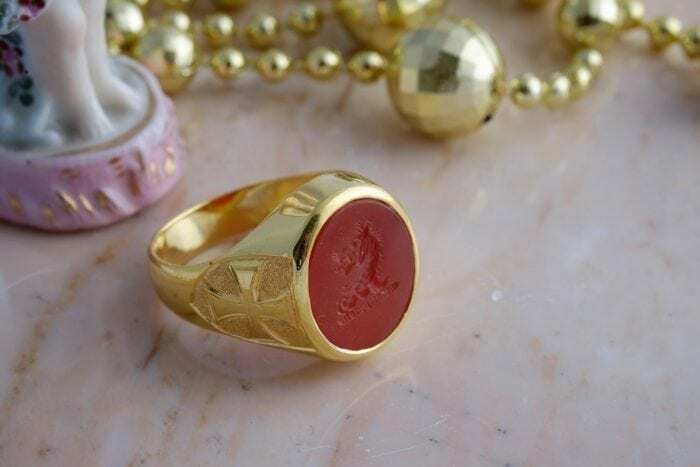 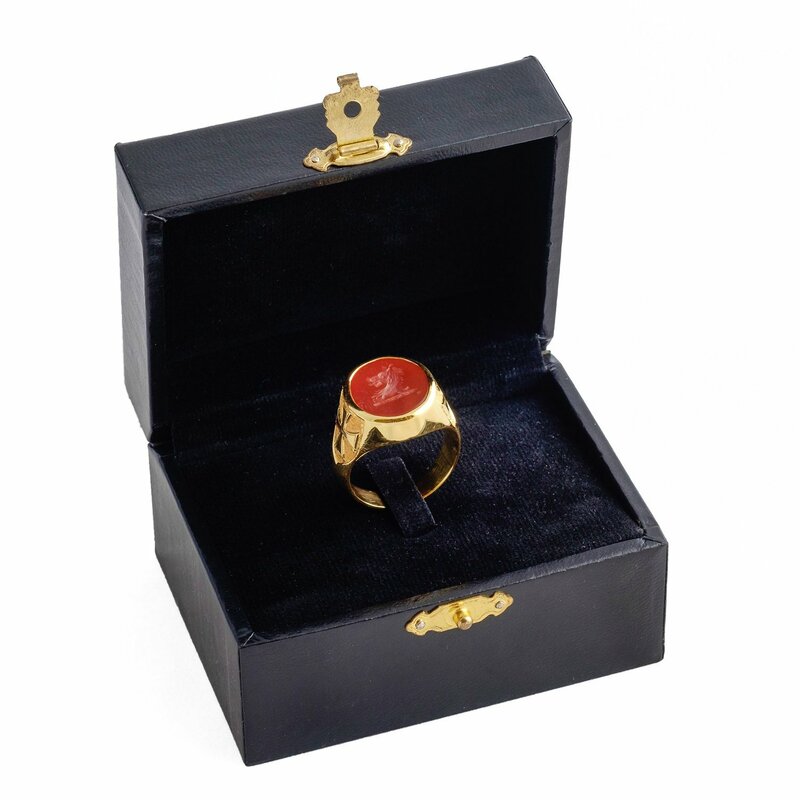 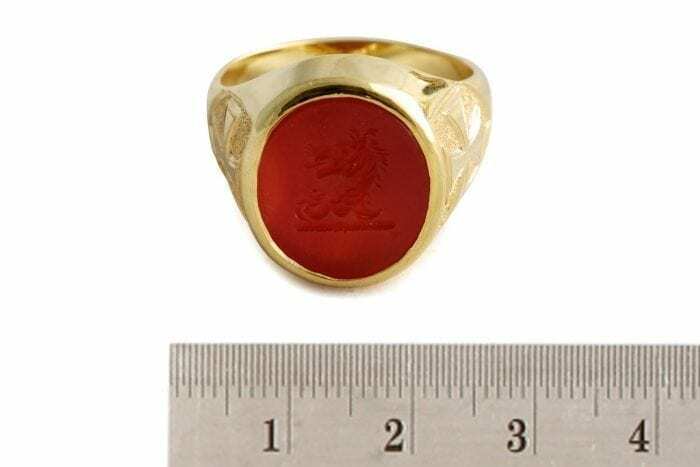 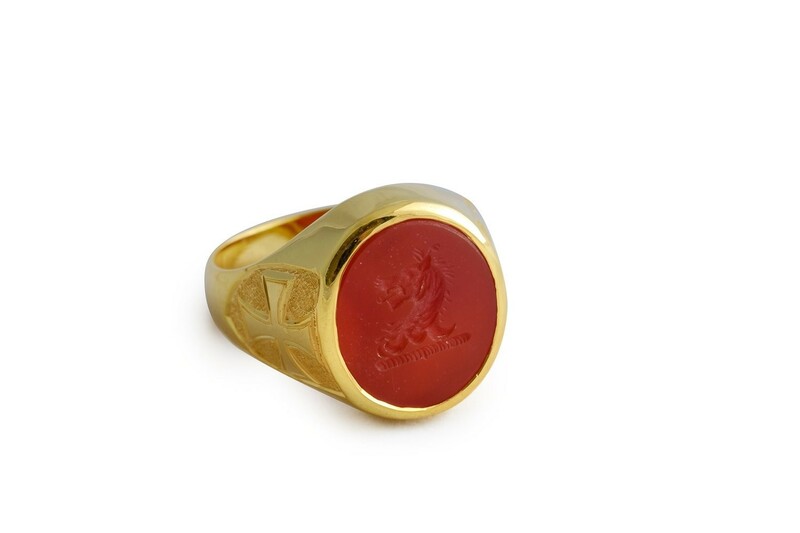 The red agate oval is 16 x 14 mm (5/8 x 9/16 inch) one of our smaller sized heraldic signet rings.